With Red Dead Redemption II, it appears Rockstar has given kleptomaniacs more options than ever to deprive NPCs of their hard-earned cash. From holding stagecoaches up at gunpoint to cracking safes and even burgling peoples’ homes, October 26 can’t come soon enough. So rather than mark the days down on our calendars, let’s take a moment to look back on all the other in-game robberies that took us by surprise. 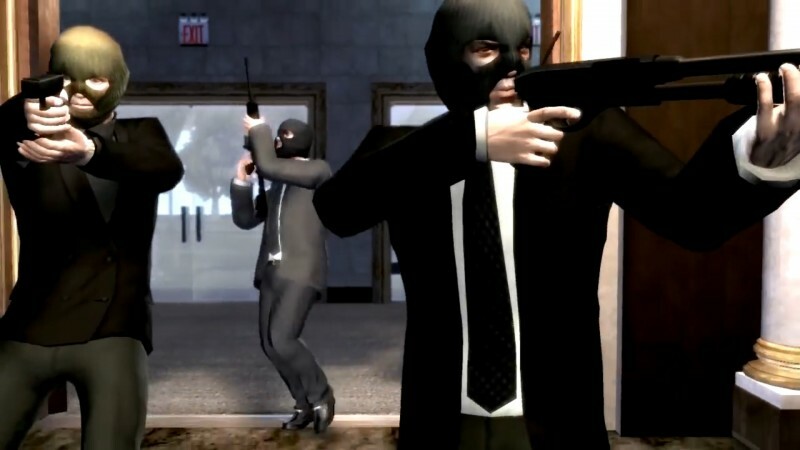 Heists in video games are nothing new, so to honor all those past capers, here’s a list of the top 10 most memorable heists in video games. 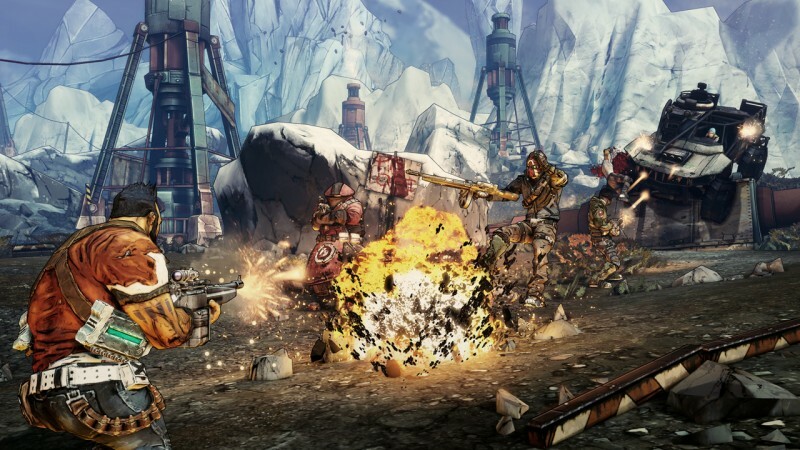 In this shoot’em-up loot-fest classic, players are charged with robbing a bank in the wild west-themed town of Lynchwood, only to discover that the bank’s vault is made of an extremely tough alloy. One of the things that can corrode this material, you’re told, is alien bile. So naturally you grab some laxative out of a toilet, kill the town’s explosives-crazed bandit boss for dynamite, and then coat said dynamite in the laxative before feeding it to one of the local alien quadrupeds. When the poor creature inevitably vomits it back up, you take the bile-coated bomb, plant it on the vault door and then fight off waves of sheriff’s deputies while waiting for the timer to go off. After burying the loot, you’re rewarded with the thing everyone is clamoring over on the planet of Pandora: some purple alien bricks. Talk about purple swag. How do you kill an otherworldly entity that is the physical embodiment of an alternate dimension? With a mystical knife, of course. As Billie Lurk, you’re tasked with stealing the legendary twin-bladed knife from the heavily fortified Dolores Michaels Deposit & Loan Bank in order to kill the Outsider. 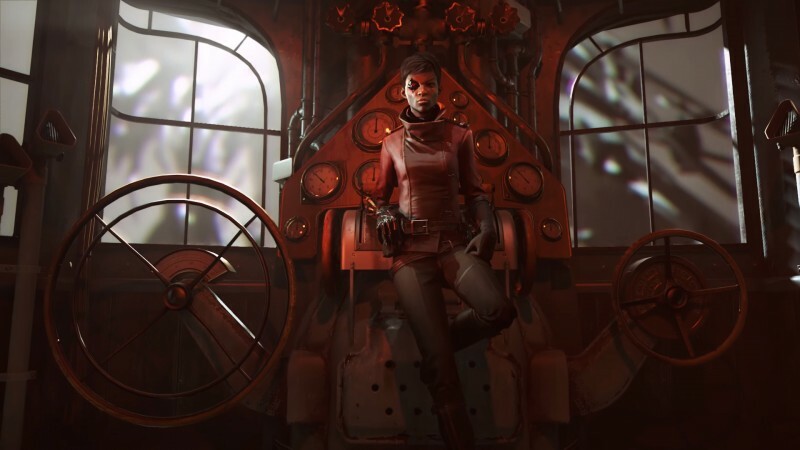 In typical Dishonored fashion, there are many ways of completing this heist. You can enter the bank from above via the roof, from below in the sewers, or somewhere-in-between via the garbage disposal. If you want to take the stealthy, non-violent approach, pour laudanum into the air duct to sedate all the bank personnel, then tiptoe past the snoring guards. Make sure you also teleport around the electrified traps and ominous clockwork sentries with their eerie porcelain smiles and bladed arms. Once you get the knife, Billie makes the new blade her primary weapon and gains two new supernatural abilities. Also, as you move through the bank, be on the lookout for other notes and numbers that could provide clues to the vault’s other three-digit combination locks, which contain additional (but optional) loot. As the legendary master thief Garrett, you need to use all the tools at your disposal to crack this vault. Stealing the precious Star of Auldale – an antique gold necklace supporting a green jewel as big as pigeon’s egg – is no simple task. You must douse lanterns with Garrett’s water arrows, scale the sides of buildings with your grappling hook, move atop bookshelves to avoid detection, pick locks, pickpocket guards, and knock out those very same guards with your blackjack if they prove a nuisance. Lucky for you, Garret’s fingerless gloves and dexterous fingers are the nimblest in the land, so it won’t be too difficult to pilfer everything that isn’t tied down before Garrett opens the vault and comments on the loveliness of its “newly opened” smell. 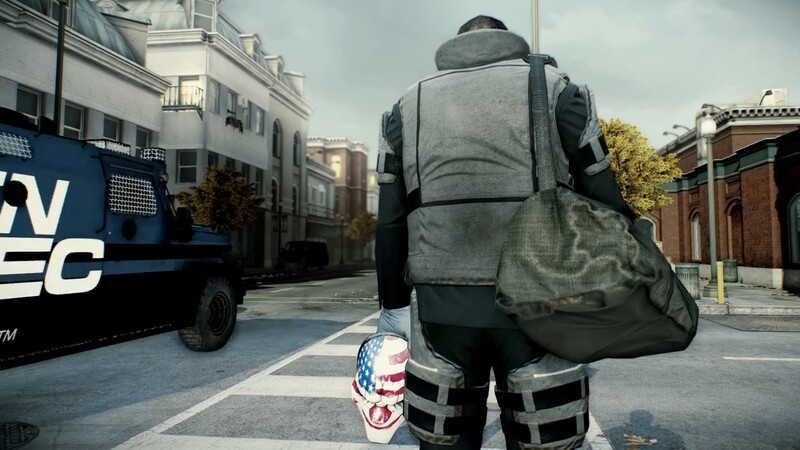 One of the most well-liked stages in Payday 2, The Big Bank is a one-day contract given to you by The Dentist (aka Giancarlo Esposito) challenging you to rob “the neoclassical beauty” that is the Benevolent Bank. The heist is great for several reasons, but primary is the massive degree of flexibility and choice players have in how they complete it. 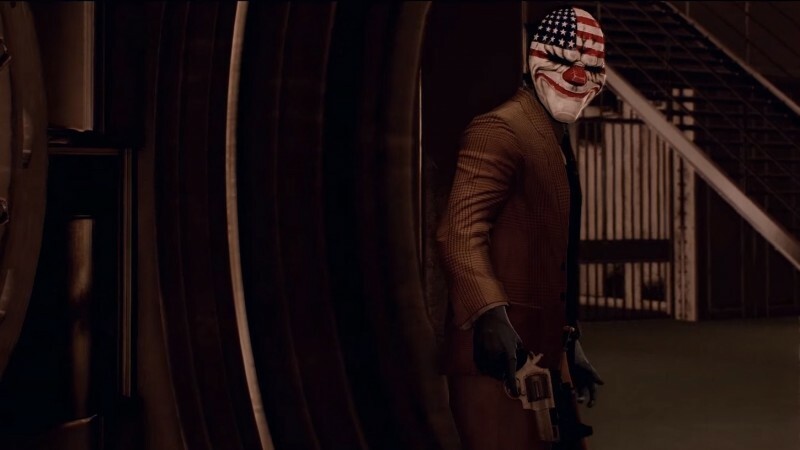 Like all the best heists in Payday, planning plays a large role in your success. Taking the time to place dead drops in key areas and preparing your approach with the blueprint and intel given can make the difference between a clean getaway and a triggered alarm. Going in with a suppressed pistol, zip-tying bank managers, and clinging to the sides of walls to stay within the cameras’ blind spots is difficult but rewarding. Players can also go loud, setting up ziplines on the roof and gunning down SWAT teams as they flood into the bank after you. You can even place a spiked cake in the employee lounge to neutralize guards who stop by for a slice, giving them food poisoning. 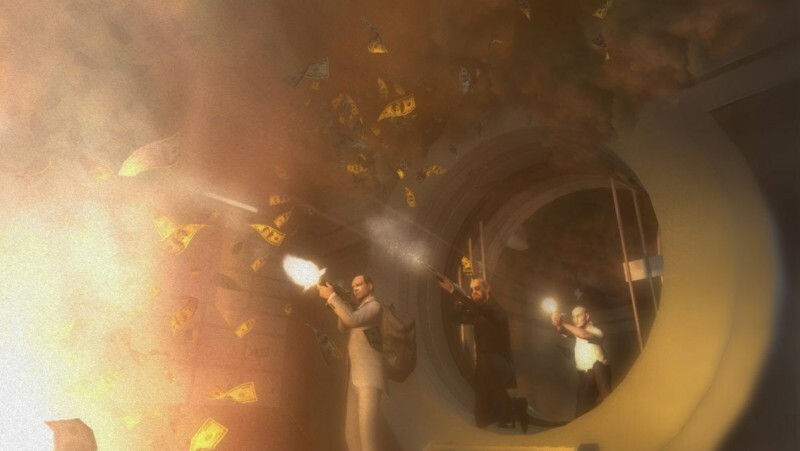 Whatever your approach, there’s always another way to crack the Big Bank, which is why players keep robbing it again and again. 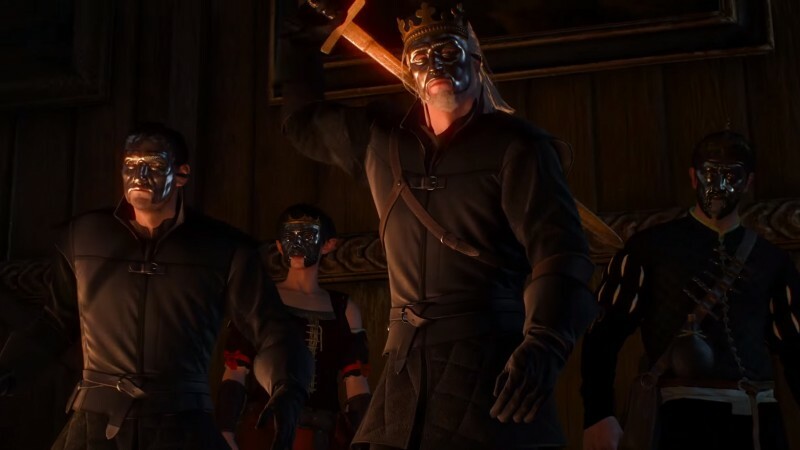 In the Hearts of Stone DLC, you play as the legendary witcher, Geralt of Rivia as he finds himself locked into a pact with a strange, seemingly omnipotent individual known as the Man of Glass. To end this pact, you must undertake three difficult tasks including a heist on the illustrious Borsodi Auction House. To undertake this sizable feat, you team up with a one-eyed dwarven explosives expert or expert safecracker (depending on who you choose), an acrobatic elf, and a mysterious stranger who arranges the midnight caper. Throughout the heist, things keep going awry. First, you’re nearly caught by guards ascending a rope into the outer watch tower. Inside the auction house where you your don masks, you encounter more unexpected guards and Horst Borsodi himself, who flees into the vault. Before you can dispatch the guards with your wooden swords (because Geralt wants no casualties on this mission), a civilian manages to sound the alarm, and the auction house is surrounded by soldiers. Taking hostages, you can bide time by demanding the negotiator tell a joke. While the negotiator fumbles for a punchline, you descend into the vault and confront Horst Borsodi and a pair of guards. During this confrontation, one final twist is revealed before you claim the vault’s treasure for yourself. Filled with twists and turns, revenge and betrayal, this mission is just another example of The Witcher’s excellent storytelling. A heist that’s been in the making for literal centuries, this one involves getting into a casino that has been locked down and unopened since the nuclear bombs dropped. In the middle of a dead city, poised above a corrosive, radioactive cloud that slowly eats away at everything in sight, the Sierra Madre Casino acts as a beacon for all wastelanders foolish enough to heed its siren call. Yet you follow the casino’s radio signal – still broadcasting the grand gala event to celebrate its opening from 200 years ago. When you wake up in the crumbling villas beneath the casino, you find a bomb collar latched around your neck and are forced to work together with an eclectic cast of characters to break into the casino. If you can work together with your uneasy allies, get past the undead ghost people of the villa, the lethal holograms, and casino’s state-of-the-art security systems, the treasures of the Sierra Madre might just be yours, if greed doesn’t defeat you first. After all, finding the Sierra Madre isn’t the hard part… it’s letting go. 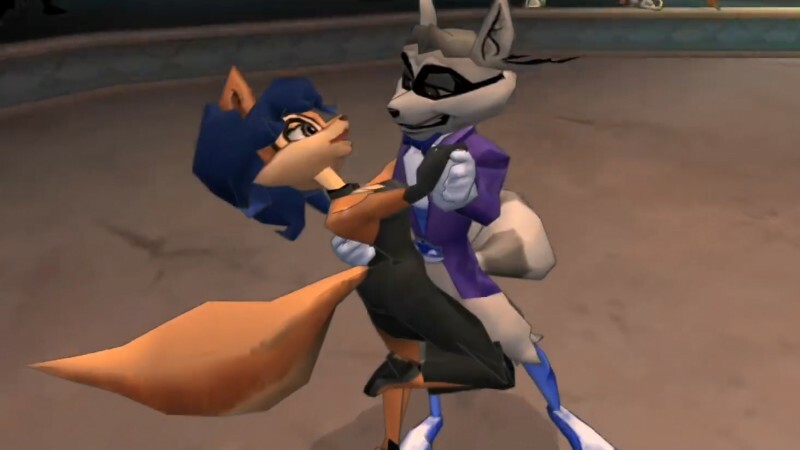 In what is arguably one of the greatest PlayStation 2 games of all time, you take control of Sly Cooper, the legendary raccoon thief, and his partners-in-crime to steal back the robotic body parts of Cooper’s cyborg nemesis, Clockwerk. Targeting the feline spice merchant Raj, who has turned the Clockwerk wings into a centerpiece in the middle of his luxurious palace, the trio sets a plan in motion to pilfer the wings in full view of everyone at one of Raj’s lavish balls. As the pink hippo, Murray, you take control of a turret to shoot down Raj’s security helicopter. As the tech-savvy turtle, Bentley you hack into the palace’s security system and demolish the palace’s main bridge. And as Cooper, you steal parts of a tuxedo to gain entry to the ball before waltzing with your foxy Interpol love interest. While everyone is transfixed by your elegant dance moves, Murray rappels down from the ceiling and snatches the wings right off the gilded statue without anyone so much as batting an eye. In this heist you’re summoned by the mysterious leader of the Thieves Guild, the Gray Fox, to complete one final feat. You must steal an elder scroll from the Imperial Palace. To infiltrate the heavily guarded palace, you are given a pair of enchanted boots and a magical arrow, and told to find the “old way,” a secret escape route once used by past emperors. 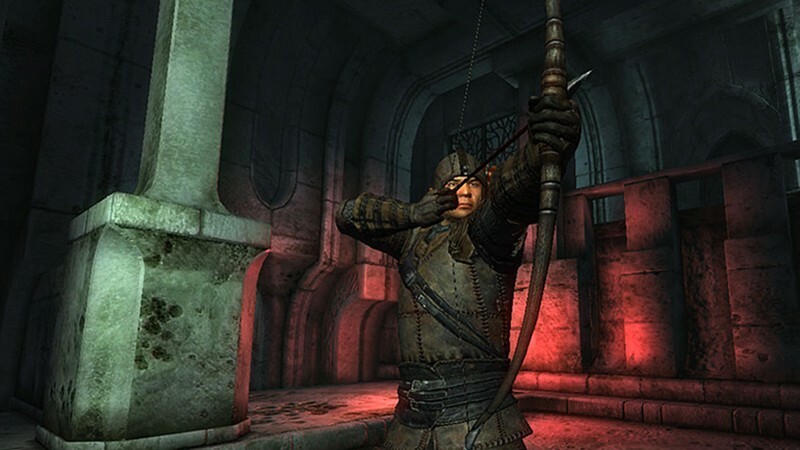 Fighting past abominations in the palace sewers, activating hidden push blocks and firing a long-distance shot with the magic arrow gains you access to the royal keep. Once inside, dodge the imperial guards and sneak into the elder scrolls library where you’re greeted by the blind moth priests – keepers of the elder scrolls. Fortunately for you, the monks are blindfolded and the Gray Fox has already arranged for a noblewoman to request one of the scrolls. Without giving any details, this woman will be “detained,” so if you don’t speak, the blind priests hand over the scroll no questions asked. 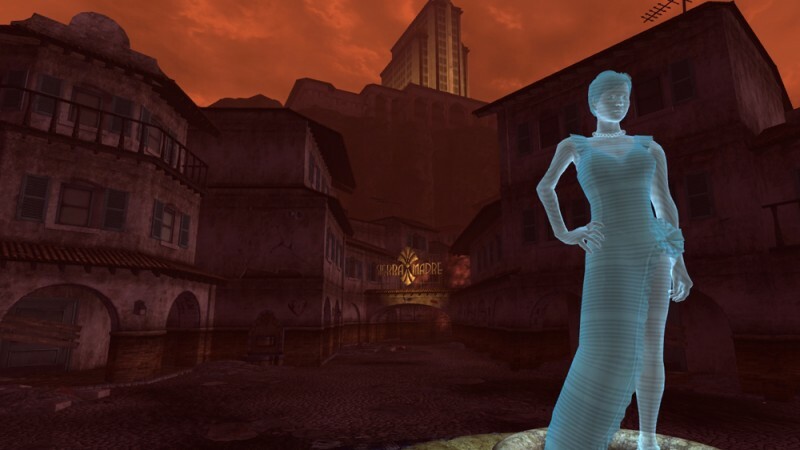 Once you have the scroll, leap down a chute hidden in the fireplace of the imperial battlemage, and with the enchanted boots equipped, hopefully survive the immediate fall. 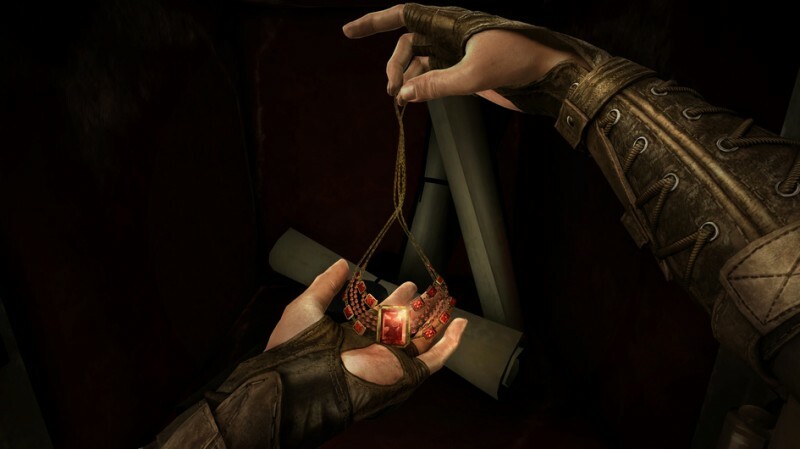 Deliver the scroll to the Gray Fox and a secret is revealed about the curse plaguing the Thieves Guild, and you’re given a reward worth far more than gold. Playing as Niko Bellic, a former Red Army soldier in search of the American Dream, things go sideways after one of your partners is shot while robbing the Bank of Liberty. When half the city’s police show up, you fight your way through the streets and alleys of Liberty City to escape with the cash. With hundred-dollar bills fluttering out of your duffel bag, you exchange assault rifle rounds with body armored NOOSE Agents and lob frag grenades at patrol cars to clear a path for you and your comrades. Sliding in an out of cover, you fight through Chinatown, and eventually the subway when a helicopter appears. Once you disappear down the subway, following the tracks and avoiding a close shave with a subway car, all that’s left is to evade a three-star wanted level and you’re home free. Your prize for this harrowing mission: a quarter of a million dollars. As one of the most memorable missions in the entire GTA series, this Heat-style heist-gone-wrong has it all: coked out Irishmen, a member of the local gun club who thinks he’s a hero, plenty of cops to trade bullets with, and even a cameo by a future DLC character. So, tell me, did I leave your favorite heist out? Or do you think another Grand Theft Auto caper should have claimed the top spot? Make sure to leave a comment in the section below. Or check out our Red Dead Redemption 2 news hub where we have exclusive info on all the train-robberies and stick ups to come in Rockstar's highly-anticipated new Western.